For the past few years a #SavetheBees movement has been gaining momentum. This has been a product of increased discussion about our friendly neighborhood pollinators suffering from health problems and die-offs. Ask your local beekeeper why all the bees are dying and more often than not insecticides are a large part of, if not wholly, his or her answer. 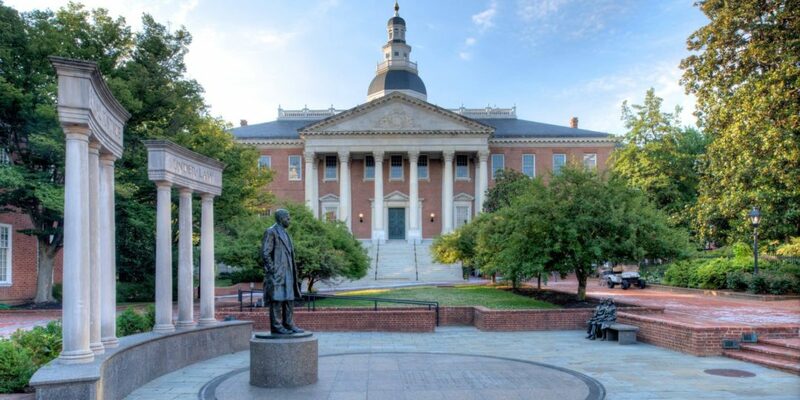 For the most part government agencies have been slow to take action, but a recent bill passed in Maryland is aiming to cut back on unneeded usage. Increased use of insecticides, especially by homeowners in their backyard gardens, is either killing Miss Foraging Bee upon contact – bees are insects, too, after all – or these chemicals are being carried back to the hive to affect her whole family. A specific family of insecticides that has been creating a lot of negative buzz lately is neonicotinoids (neonics). Neonics are the most widely used insecticides around the world and are a group of synthetic chemicals similar in structure to nicotine. These insecticides are incredibly persistent, sometimes remaining in a plant and soil system for years, poisoning bees all the while. When bees return from foraging in insecticide-treated areas they bring the toxic chemicals back to the hive, either on their bodies or in their collected pollen. 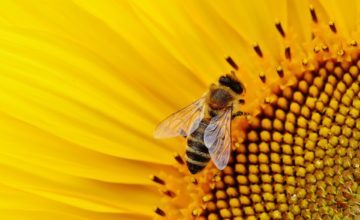 A bee exposed to insecticides is more susceptible to deadly diseases and parasites such as varroa mites and nosema, a lethal fungus. Bees’ ability to forage and return to their hives often suffers as well due to insecticide-induced memory impairment. With fewer bees guarding the homefront, the hive’s defenses are crippled allowing intruders to attack. Robbers such as yellowjacket wasps steal their food supplies, and kill what’s left of their already suffering population. In order to lessen the negative impact of insecticides like neonicotinoids on our pollinators, Maryland passed legislation banning the retail sale of neonics beginning in January 2018. Prior to the ban, reports have shown colony losses higher than 60%. We can only hope this sets an example for other states to follow suit. Although the ban is a great way forward, it is not the only answer. There are practices that homeowners can take to reduce the consequences of insecticide use on honeybees while still maintaining a luscious yard or garden. Apply insecticides at night when bees are no longer out foraging, which makes them less susceptible to coming into contact with a fresh layer of chemicals. Avoid using insecticides in the form of dusts and powders which can stick to the hairs of a bee’s body the same way pollen is collected. Even if the plant being treated doesn’t usually attract honeybees, airborne powders can still harm them! Instead, use liquid solutions, emulsifiable concentrates, or granules (which are too large to stick to bees). Use less toxic, quickly degradable insecticides. Be aware of what’s in your insecticide of choice. The Pest Smart App from the Pesticide Research Institute is a useful tool for identifying insecticides that are less harmful to pollinators. Practice localized application of insecticides to keep the chemicals close to the intended treatment areas. Avoiding broad application of insecticides limits the opportunities for bees to come into contact with them. Be aware of local colonies and try to avoid insecticide application in highly bee-trafficked areas. As the most active seasons come to a close and we enter into the colder months, it is important to keep in mind that many colonies won’t survive the winter. Care and moderation in applying pesticides is one of the preventative measures we can take to strengthen colonies as much as possible to help our little friends survive! #NextGenBeekeeper: Sophie ChaneyBumble Bees, Solitary Bees, Stingless Bees, Oh My!